How to buy the best safety shoes for mechanics? If you ask a mechanic what is the most important safety equipment for them at their workplaces, the answer would probably be a good pair of shoes. This is a definite necessity for them as they work on their feet for long hours under dangerous conditions. Just like the mens construction shoes, the shoes for mechanics also should be comfortable and durable enough. However, there are some more important things that you should consider if you wish to buy the best shoes for mechanics. The workplace of the mechanics involves the risks of fire and sharp objects. Therefore, the sole of the shoes should be both heat and puncture resistant. Heat resistance is necessary to protect the feet of the mechanics from fire or excessive heat and puncture resistance will protect them from sharp falling objects. Expense Most often, the cost of safety equipment will be covered by the employers as safety standards help in reducing insurance claims or other compensations. So the mechanics can buy the best shoes as per their choice and get reimbursed by the employer. Comfort The best shoes for mechanics should meet the safety standards and requirements, ensuring that they are still durable and comfortable. They should be lightweight so that the mechanics can work properly and breathable to ensure that the feet do not sweat excessively. We hope this post has helped you to understand the importance of safety shoes for the mechanics and how to buy them. 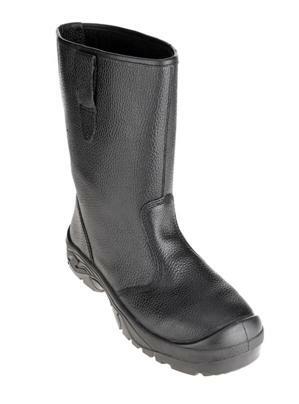 You can browse through our collection of safety shoes and boots to pick the right pair for your profession.